I am a huge fan of futurama! I like it much more than family guy or the simpsons. It shows that the world is still just bringing back a comedy masterpiece like this. 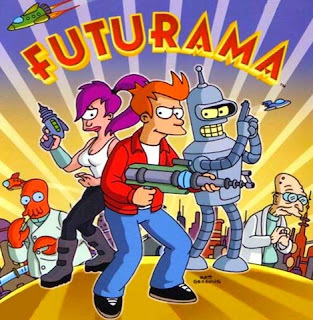 I don't really care for Futurama but a side note Fox really doesn't know what they are doing. They have 2 shows they care about, American Idol and 24. The rest of the shows they play piggly wiggly with all the dates and times and wonder why no one can remember that for weeks 2-5 it'll be wends at 8 but on weeks 6 and 10 it's Thursdays at 9.